I have always loved travelling by train during day time since I can happily vEDikkai pAtthufy. From Madras to Mayavaram as the landscape changes from concrete jungle and dirty, smelly rivers like Cooum and Adyar to hillocks, hills, lakes including the huge Chengalpet lake and almost-dry rivers like Paalar to lush green fields and canals with the fields and water bodies inhabitated by cranes, storks and the like and cows and goats happily grazing in the open pastures, it has always been a nice, beautiful journey. The familiarity of the scenes and landscapes feel comforting to me. Every time I take a train having overhead stretch in Singapore, it is this Madras to Mayavaram route that I remember. The views from MRT in Singapore predominantly comprise only of HDB apartments, private Condominiums and malls barring a few companies/offices. Cut back to the train journey in our vast country – isn’t it filled with nature’s beauty? I also remember the train journeys in Europe – in the Belgium, Paris, Luxembourg regions. The countryside or so I think it was, were all very, very beautiful with nice independent houses having backyards with horses, gardens and slides and swings for the kids of the house. The cool weather further added to the beauty. 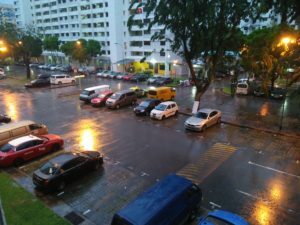 This entry was posted in Life's Like That, Madras, Nature, Singapore on December 21, 2017 by admin. 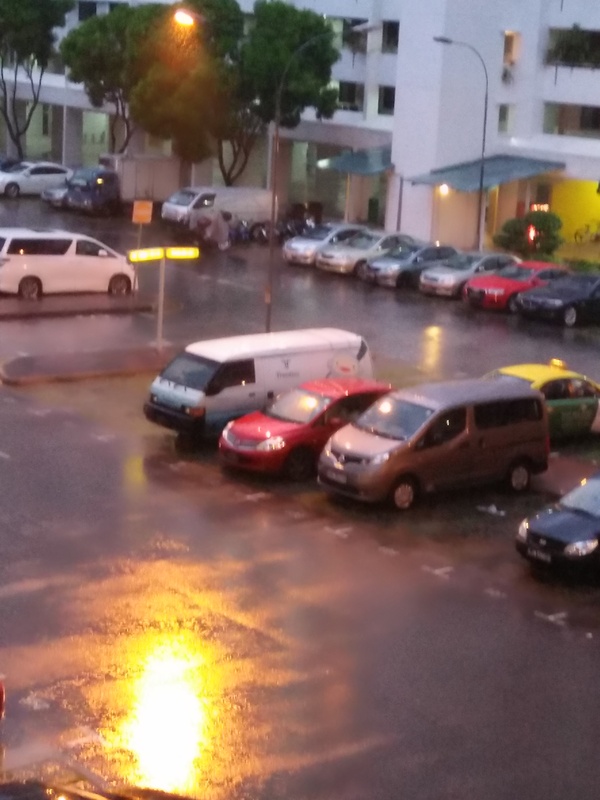 It was yet another morning and it was raining yet again. 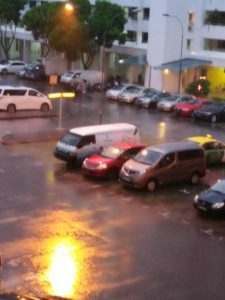 Waking up, I gazed out of the window to see the falling raindrops glowing under the streetlights soaking its amber colour. The amber shower against the backdrop of the green leaves of the tree just when the sun had risen looked so beautiful! Oh these natural colourful and beautiful frames waiting to be discovered in the most ordinary places! 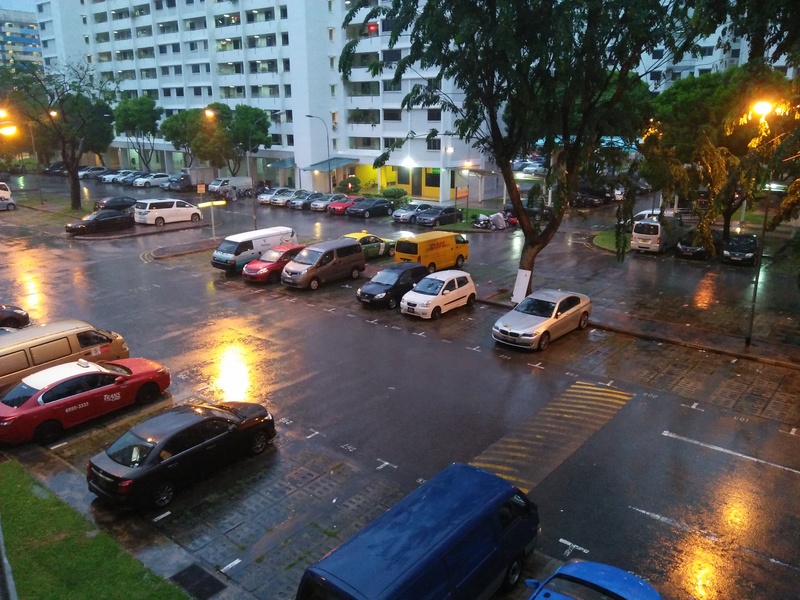 Did I tell you that the reflection of the light on the wet floor looked so beautiful too? This entry was posted in Nature on October 10, 2017 by admin. 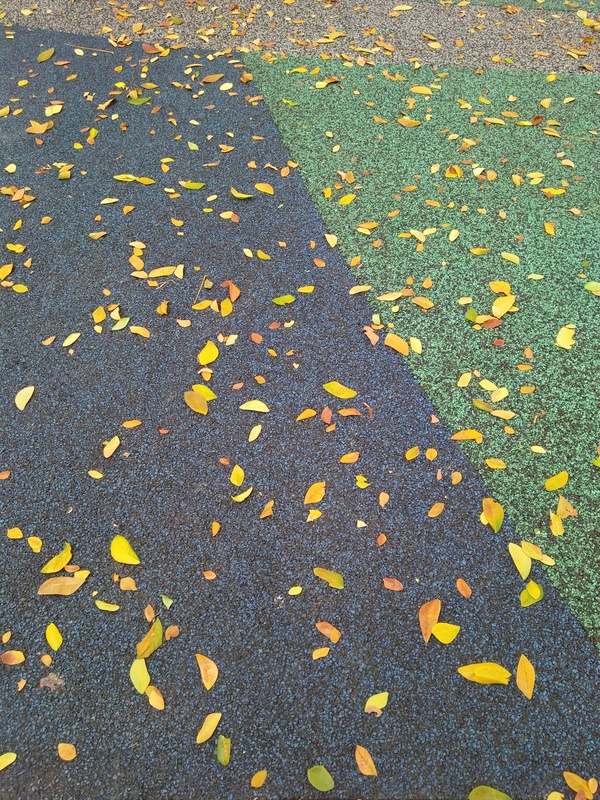 As it rained leaves from the raintree…. On a sunny Sunday afternoon, there I was, sitting on a bench, watching my kids running around in the play area. 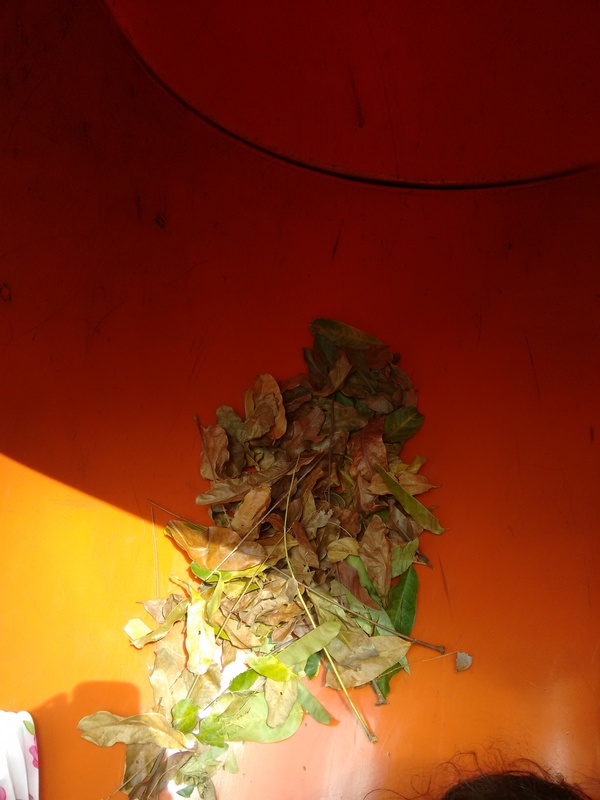 As a slight breeze started blowing, bringing with it not just a welcome respite from the sweltering heat, but also a ‘rain’ of drying leaves from the raintree near us, my kids and I rejoiced together. 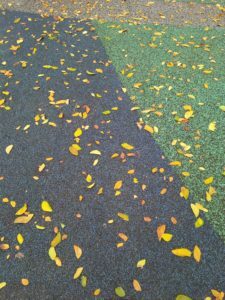 The drying leaves in varied shades of yellow to green to brown continued to fall down in colourful bursts for a minute or two. As I lost myself in these dull colours of nature, my kids ran around laughing and catching as many falling tiny leaves as they could. It is always with a touch of nostalgia that I look at a raintree / thoongumoonji maram. When I was a small kid, my father used to bring back thoongumoonji poo during his morning walks for me to play with. I remember how, back then, I used to watch the leaves of this tree closing down to fall asleep at the onset of evening. In our apartment in Madras, we had a huge raintree growing more than three floors high. 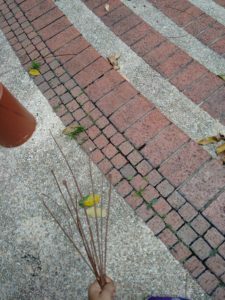 Every time I went to the terrace, I used to watch the beautiful combination made by the pink flowers and green leaves of this tree. Before we put mosquito nets, our balcony used to always have lots of dried leaves of this tree fallen inside. Huge branches of this tree fell during last year’s cyclone and the entire tree had to then be cut off. Today, I have huge rain trees outside my window and did I tell you that there are always a few dried leaves to be swept away in my living room? 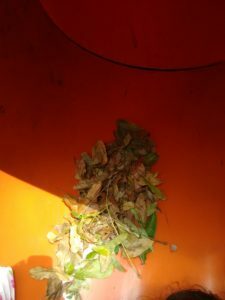 This entry was posted in Madras, Nature on August 1, 2017 by admin. Surin Park has now become one of the parks in Singapore I regularly visit. 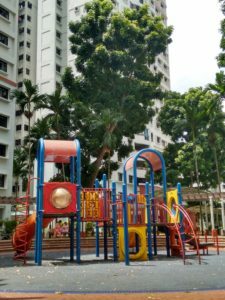 This small yet beautiful park has walking paths covered by the shade of several trees including a tamarind tree which is among the list of heritage trees of Singapore. Nestled among posh independent houses and across the road from only one series of HDB (Housing Development Board) apartment blocks, this is in a very calm and peaceful locale. Taking in the lush greenery lining the paths and pointing out the various butterflies and tiny insects to my kids, I just love walking through this park. 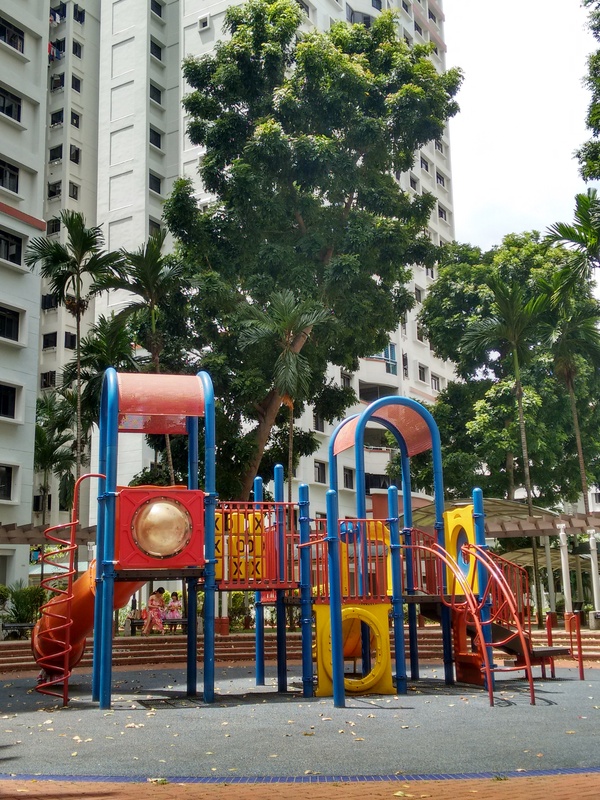 With shelters having benches, a kids play area and an exercise area, this park, away from the noisy roads, makes for a perfect place for relaxing with family. It makes for a nice change to have the buzzing of insects for company, instead of the noise made by vehicles, isn’t it? This entry was posted in Nature, Singapore on March 6, 2017 by admin. Music, Nature & Walking – The top three things which always inspire me. 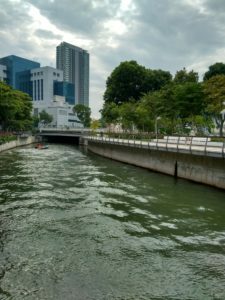 It was one of those lovely mornings with overcast sky and the water in Rochor Canal, Singapore relatively clean. And there I was going for a brisk walk along the canal pushing the stroller of my little one. 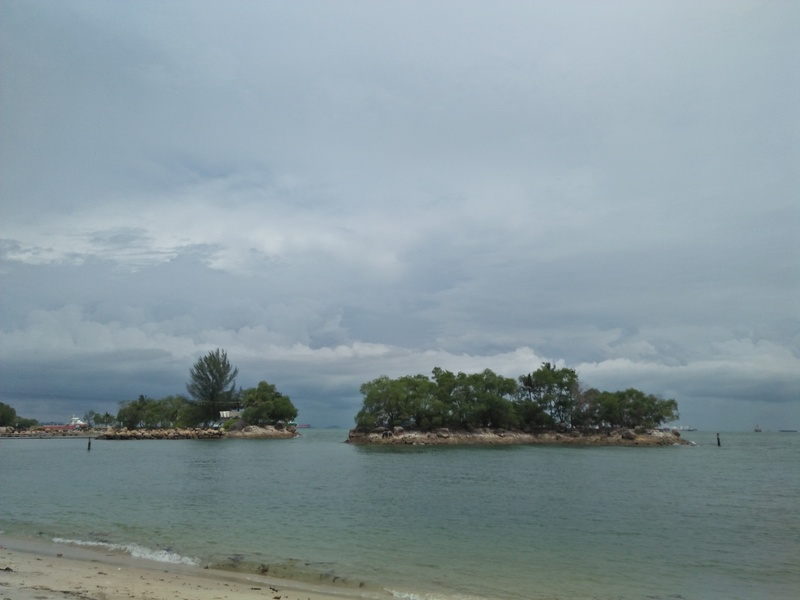 This entry was posted in Life's Like That, Nature, Singapore on September 25, 2016 by admin.